Once again Toybank completes a successful journey of spreading fun and joy across the nation through their immense hard work, passion and dedication. This not only includes Ms. Shweta Chari, but also the supporters and volunteers involved behind the scenes for this successful year. 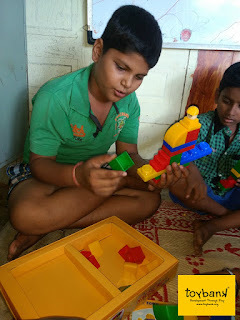 Celebration of Toybank’s 10th Anniversary has marked its importance in the society and the people connected to Toybank. Ms. Shweta Chari’s, not giving up attitude has made it reach on heights among this nation and is well known for its work in the society. This celebration has not only been a source of enjoyment but also sense of self-actualization for the young minds and a key of encouragement to aspire for their life as well as for the society’s better and successful future. We decided to go all out for Toybank's 10th Birthday celebration! Around 400+ friends, Volunteers and supporters of Toybank were present as a part of this grand event. It began with Atul Kasbekar & Purab Kohli giving away prizes to the winners of Toybank's annual photography contest- Click for A Cause. Right from an Art Installation that captured the ethos of our work, to a funky video booth where guests gave their bytes on their favourite toy from their childhood, to a super fun panel discussion anchored by Purab Kohli, followed by a witty speech by Shweta, a classic performance by Vikram (singing two songs by the Beatles), and with 30 kids singing to 'Lakdi ki Kaati', 'Oona Sasa' & 'Kalele' and grand closing note by Trustee Vivek Asrani. The event also saw the release of a fabulous 4 minute film on Toybank's work made by director Prateek Sharma. Event-1:- A flash back at Toybank’s journey throughout the past few years. Event-2:- A panel discussion, which includes some of the most dedicated and passionate souls that contribute towards the society with full commitment, share their experience about Toybank throughout the past 10yrs and note the audience with their heart felt encouraging words. was dedicated for 10th Year anniversary, expressing their joy and love for Toybank’s journey so far. Event- 4:- Toybank means nothing without the joy and smile of young children. However, to fill the empty gap a children choir performed some of the most famous songs in Hindi as well as in African language. The presence of these children gave a complete ending of this 10th year which made it memorable and to be cherished. Event – 5:- Mr. Vivek Asrani, one of the main supporter of Toybank, disclosed his experience about the integral part of Toybank in the society and gave the young listeners the words of encouragement and hard work, to bring a change in this collapsing society and marking them as the pillars for the future better nation. 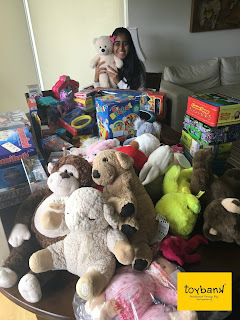 Mr. Vivek Asrani is like a back bone for Toybank because of his huge contribution of a massive storage capacity for loading unlimited stock of toys. Event – 6:- The celebration concluded with the wise words of Ms. Shweta Chari, by thanking all the supporters and volunteers of Toybank, for their commitment towards their work and the spirit of moving on. She expressed her special thanks to the Toybank core team that works behind the scenes to make every year more memorable and successful one.